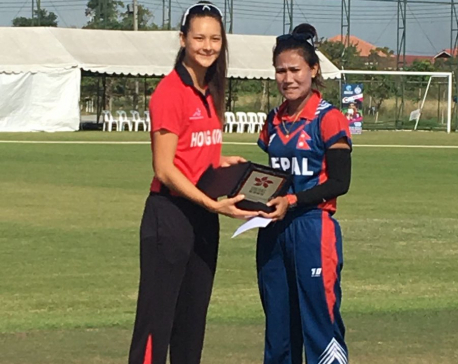 HONG KONG March 13: At a time when generation gap has become a major issue among Hong Kong-based Nepali immigrants, Nepathya has presented itself as a bridge connecting all generations. The elder generations are hooked to traditional Nepali entertainment, whereas the younger generation born and brought up here has their own choices. However, the scene at the houseful Yuen Long Theatre was different. The theatre witnessed all generations of Nepalis living in Hong Kong swaying to the same tune of Nepathya. The show started with a spectacular entrance of the band aided by a choreographed coordination of lights, visuals and sound. 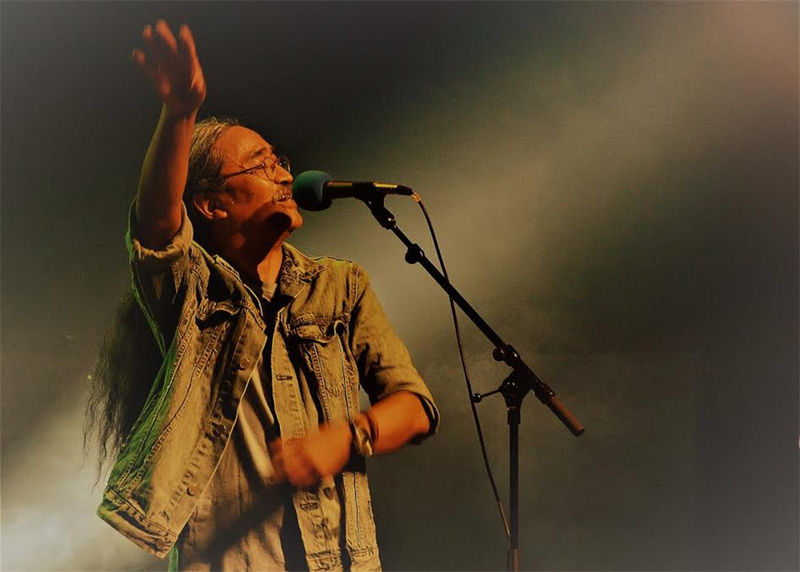 The sound that opened the show led to Nepathya’s yet to be released song Kuroop Anuhar. Composed more than three decades ago by Vikram Gurung during his college days, the song was penned by poet Sarubhakta. Musician Vikram has made important contribution to Nepali music with several iconic Arun Thapa songs. He has now been a resident of Hong Kong for several decades pursuing teaching profession. Witnessing Nepathya perform his song for the first time, was a moment of nostalgia for Vikram. “Saru and I had made this song during our days at Kirtipur University. I am listening to it after a long time,” said Vikram. 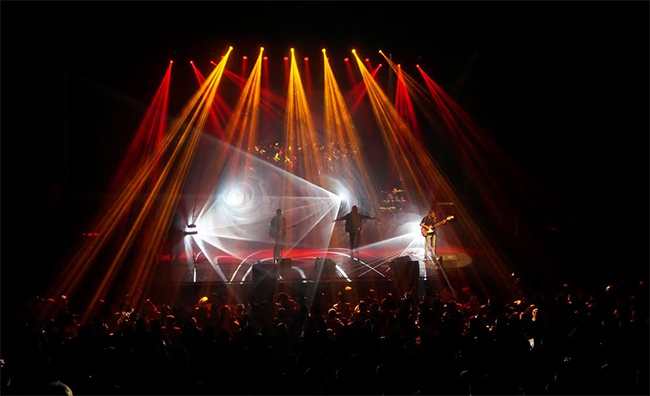 “Though Nepathya has presented it in their own style, I could sense the feelings portrayed in their performance. Experimenting a composition in various presentation style is normal in music” he expressed. 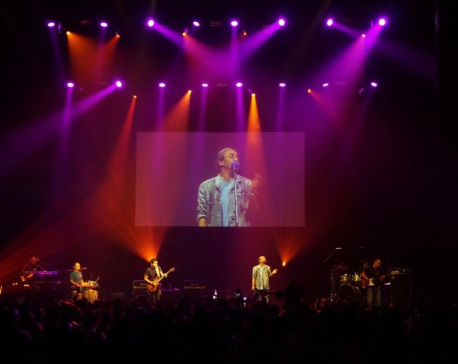 As the show progressed, Nepathya frontman Amrit Gurung greeted the audience, “Today is Holi and I am here to play colors with you,” he said. “Colors of words, music and lights filled with love from Nepal” he added. The show was organized by Hong Kong based Tamu Association, as part of their regular Rodi Sanjh. “The choice of entertainment is completely different for us and our children who are born here,” said Sher Bahadur Pun, a transportation entrepreneur based in Hong Kong for the past 25 years. “But when Nepathya comes, I feel rejuvenated to see Nepalese of all age and creed come together to enjoy in one place.” He added. Sher Bahadur expressed his astonishment to see added sound and lights being transported to the already well equipped Yuen Long Theater to meet Nepathya’s production requirement. 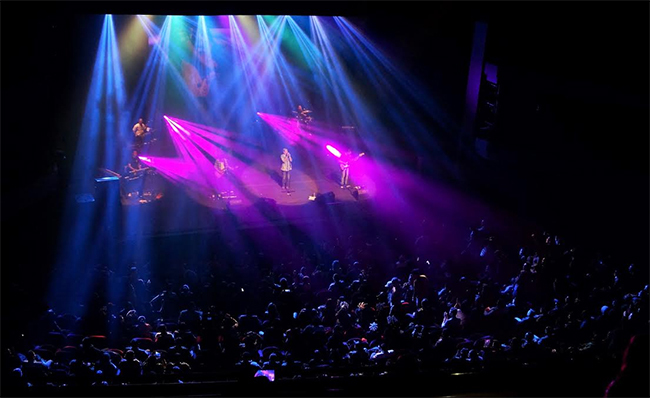 “I have seen many shows here but I have never seen such elaborated produced concert in Hong Kong,” he said. Among the audience at the house full theater was Sweta Basnet. She was born in Hong Kong and is now settled in UK. “I am here on vacation and when I learned about the show, I could not resist.” She said. “I usually attend English and K Pop shows. I had heard of Nepathya since long and am here to check them out. I had missed them in the UK and am glad that I could attend their show here. I am very much impressed.” She added. Amrit was accompanied on stage by Dhruba Lama on drums, Suraj Thapa on Keyboards, Subin Shakya on Bass, Niraj Gurung on Guitars and Shanti Rayamajhi on madals. The Band’s next performance will be in their hometown Pokhara on 8th of April 2017.